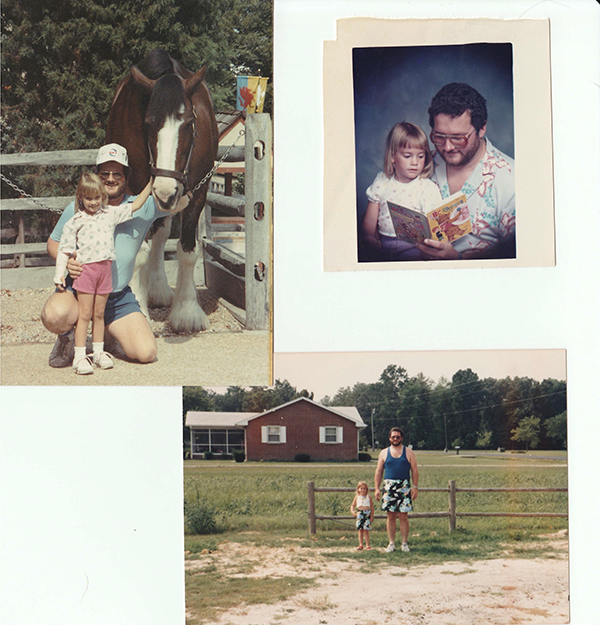 Jessica Lewis adored her dad. He had always called her his little “Bear.” He had coached her in softball from the time she was tiny all the way through high school. They could talk about his favorite team, the Baltimore Orioles, for hours. They were so close, she grew concerned a couple years ago when, as Jessica said, “He started having these episodes – he would stare off into space; we couldn’t get his attention.” The family went with him to Johns Hopkins Hospital to see what might be wrong, and came home with grave news. The episodes were seizures, caused by a malignant brain tumor. The diagnosis was devastating. But they knew her dad was tough. He underwent his first brain surgery in May of 2014, and worked hard to overcome the post-surgery effects. He fully regained his speech and mobility in the following months, and the family was encouraged. 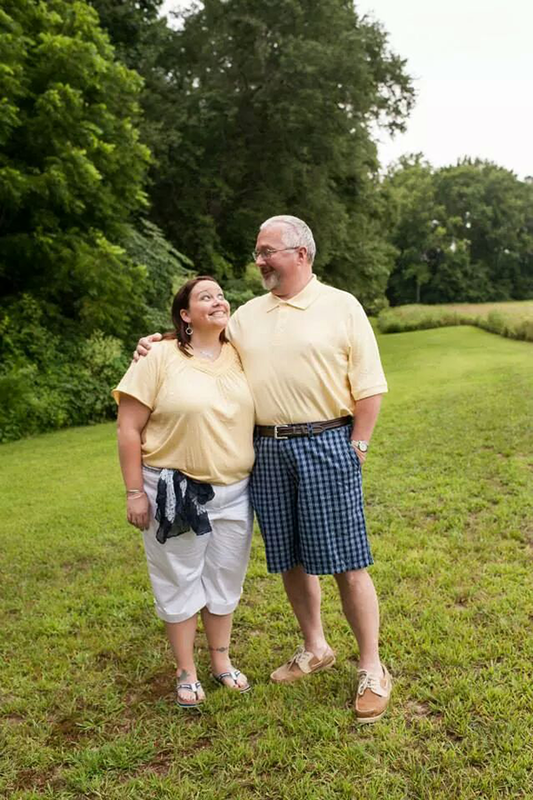 Jessica, an Origami Owl® Designer gave her dad a special gift to commemorate his recovery. 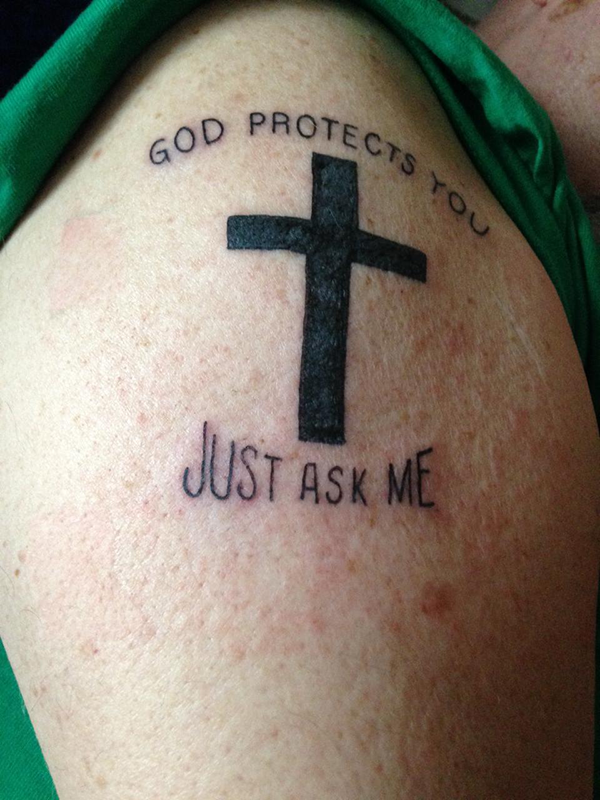 It was an Origami Owl Tag, inscribed with a cross and the same phrase as her dad’s only tattoo – a tattoo he had gotten just a few years earlier after healing from a life-threatening motorcycle accident. 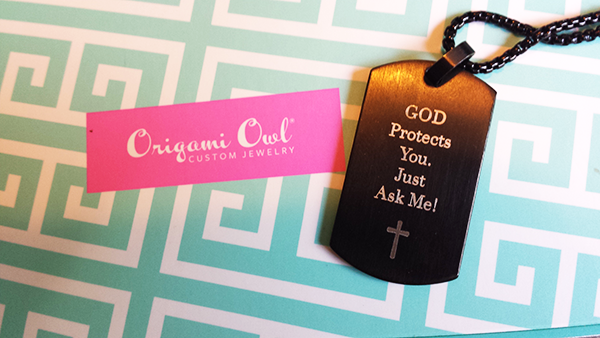 The Quilted Black Tag read: God Protects You – Just Ask Me! 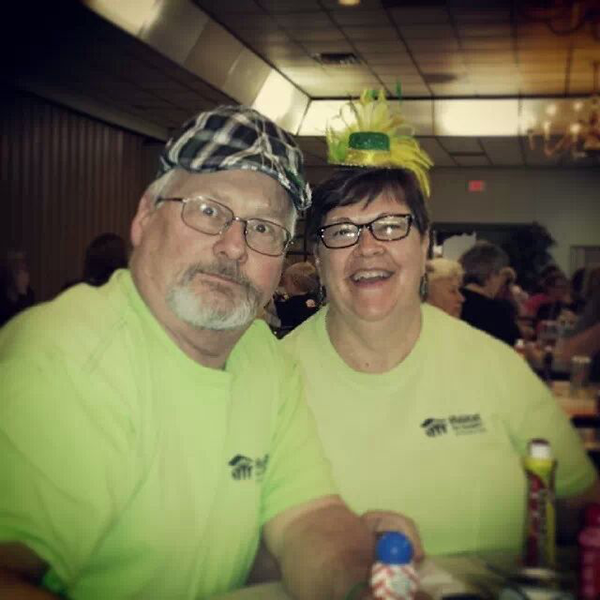 The brain tumor finally took its toll – Jessica’s dad passed away on Mother’s Day this year, leaving a big hole in their family’s hearts. As Jessica looks back at the last few months of his life, she said she was grateful for Origami Owl, as it empowered her to still earn an income while she had to step away from her full-time job to care for him. Jessica is grateful to be able to pass along the power of Living Lockets to comfort others, as well. Her husband’s brother recently passed away in an automobile accident, and while the family is reeling from that loss, as well, she’s grateful to be able to put together a locket in his memory for her mother-in-law. “While she can’t have him, she can carry all of what he was, what he stood for, in this locket,” said Jessica. For more info and to help in the fight against brain tumors, visit The National Brain Tumor Society at www.braintumor.org.